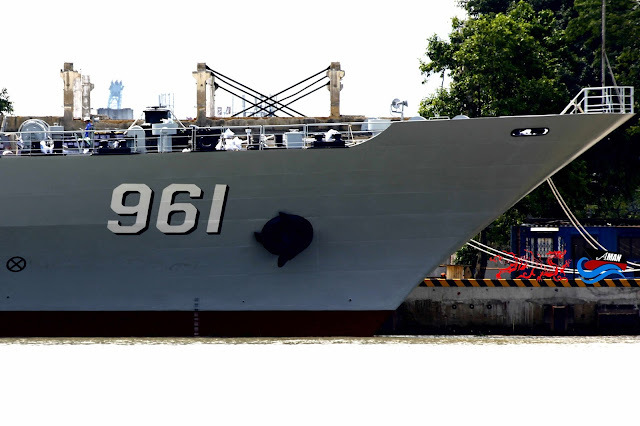 China Defense Blog: South Sea Fleet commissions three support ships in a single day. 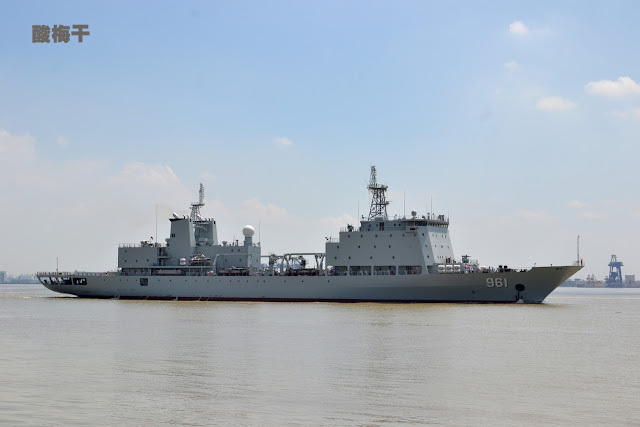 South Sea Fleet commissions three support ships in a single day. 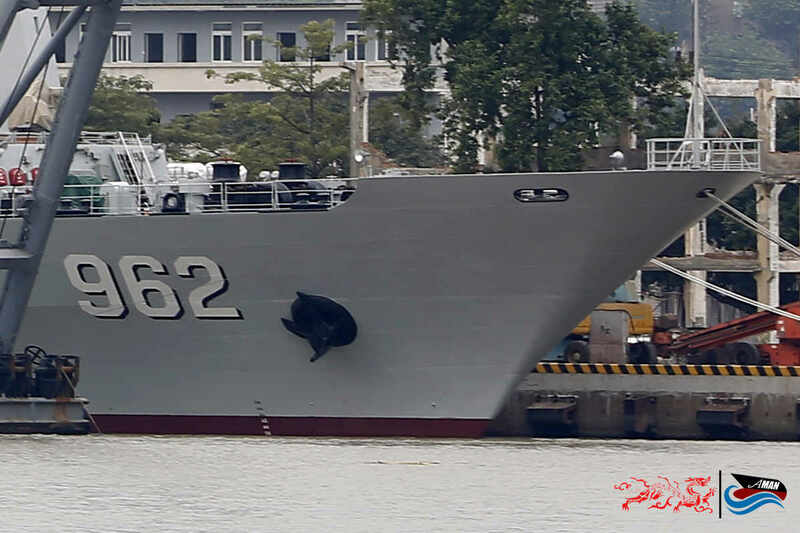 BEIJING, Dec. 28 (ChinaMil) -- The South China Sea Fleet of the PLA Navy has embraced three new vessels. 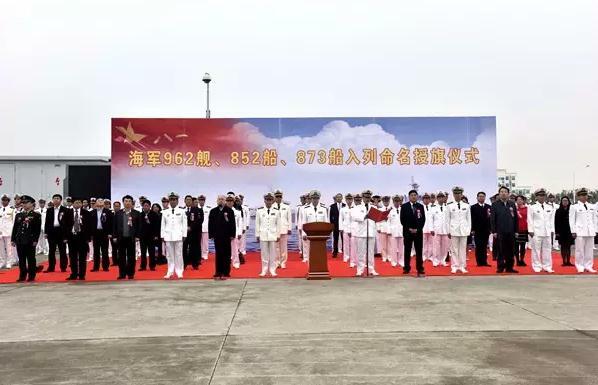 A ceremony marking the beginning of military service of the three vessels, the supply ship Luguhu, the electronic reconnaissance ship Neptune and the pelagic survey vessel Qian Xuesen was held at a naval port in the South China Sea on Saturday. 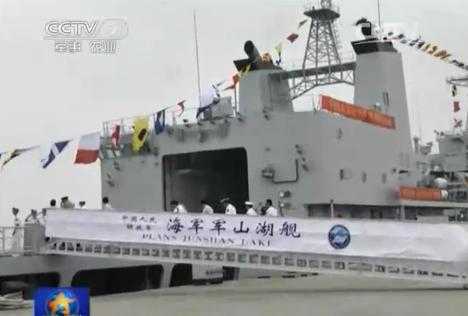 These three vessels are all independently designed and built by China. The biggest differences between the Type 904B supply ship Luguhu (Hull No. 962) and its predecessor Type 904A supply ship Fuxianhu are that, instead of the portal frame type platform, which is specific to the comprehensive supply ship, on the supply ship Luguhu, there are two davits mounted on each side in the middle section of the ship and a hangar which enhances the vertical replenishment capacity. 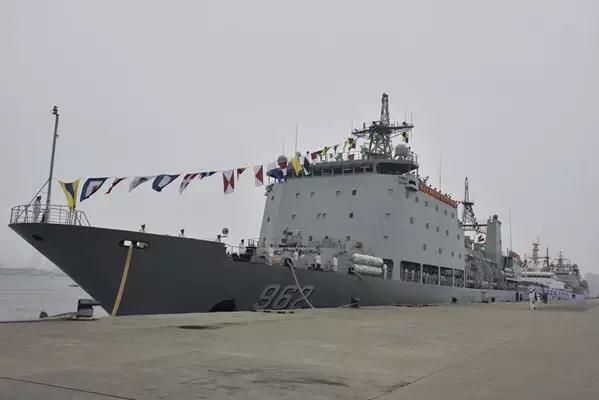 The ship is designed to provide material supply for the troops stationed in the Nansha islands, and undertake such tasks as providing supply for a ship formation and maritime medical aid at a certain degree. The Type 815G electronic reconnaissance ship Neptune (Hull No. 852) is able to conduct continuous all-weather reconnaissance of various targets within a certain range. 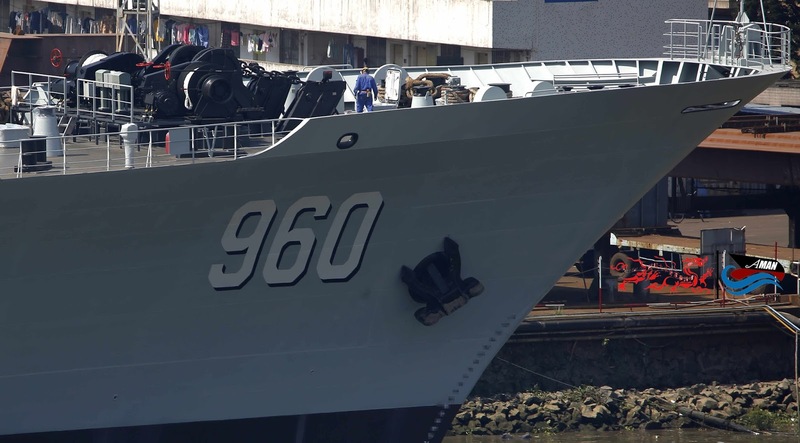 The Qian Xuesen (Hull No. 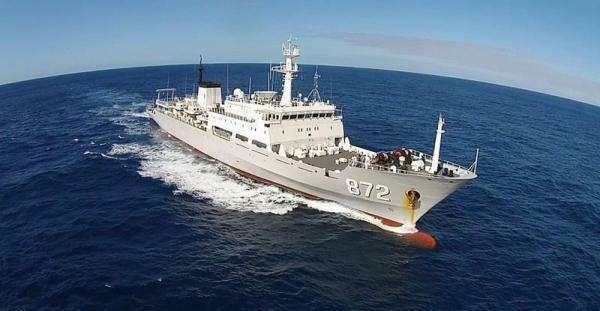 873) is the third ship of the Type 636A pelagic survey vessel family. It mainly conducts survey of oceans and reefs, marine meteorology observation and layout of hydrometeorological buoys to provide basic data to guarantee navigation safety and carry out marine scientific research. 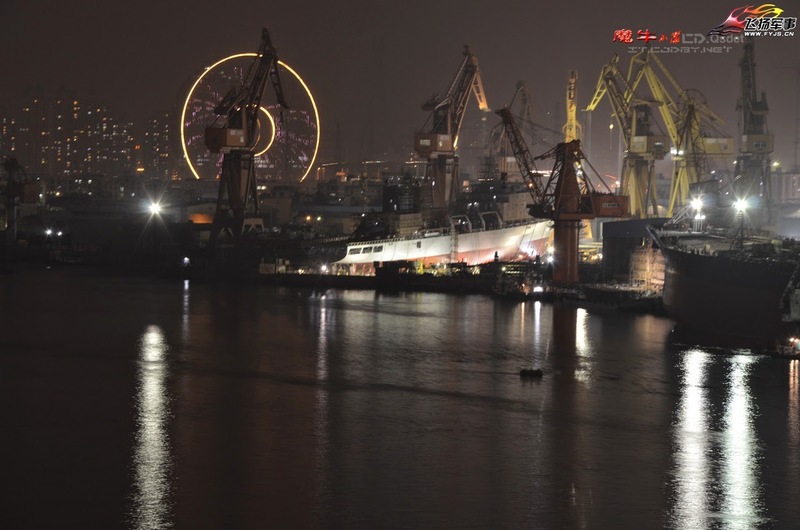 The sound attenuation is the most remarkable performance of the survey vessel, which is even more excellent than that of the Russian Kilo-class submarines known as the “ocean black hole” in the world.